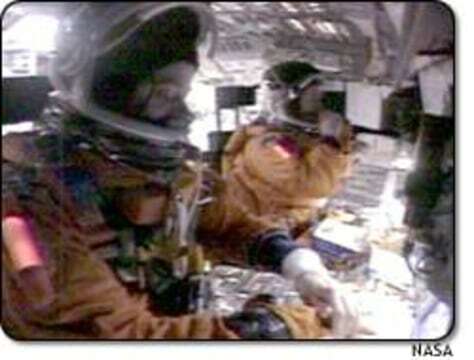 Columbia pilot William McCool and commander Rick Husband prepare for re-entry on the shuttle's flight deck, in a video released by NASA. The 13-minute video ends before the start of trouble. Click on the video button to watch the full tape.